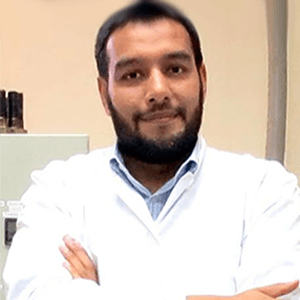 Dr. Abdul-Sattar Nizami has a Ph.D. in Sustainable Gaseous Biofuel from the University College Cork, Ireland (2008-2011). After Ph.D., he worked at the University of Toronto, Canada as a Postdoctoral Fellow and Course Builder. He is currently working as an Assistant Professor and Head of Solid Waste Research Unit at the Center of Excellence in Environmental Studies (CEES) of King Abdulaziz University, Jeddah, Saudi Arabia. He has published more than 100 papers on the topics of waste to energy, biofuels, waste-based biorefineries, pyrolysis and anaerobic digestion. He has delivered more than 20 invited talks to various national and international forums. His work has been cited over 1760 times in the peer review press with H factor of 22. He is the editor for Energy Sources Part B (Taylor & Francis) and Bioengineering and Biotechnology (Frontiers), as well as a reviewer for many high impact Journals of Elsevier, ACS, Springer, Wiley, and Taylor and Francis.